The MissionaryApronTM is a small, lightweight, personalized gift that every missionary needs. 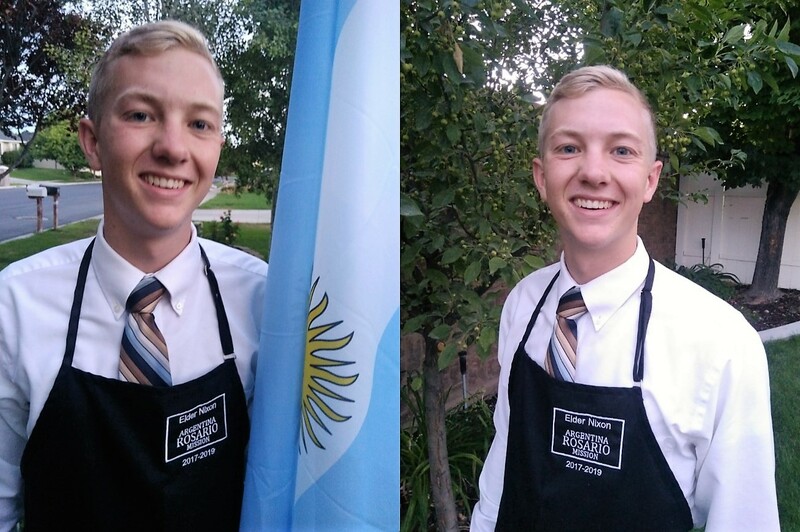 The apron is embroidered with the Missionary's last name and mission and is specifically designed to resemble their own black name tag. 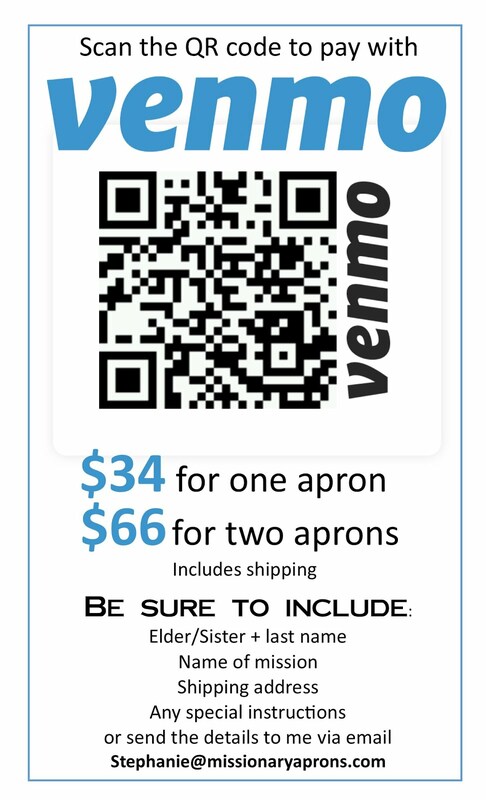 The MissionaryApron is a practical and affordable gift that will keep white shirts, ties, and blouses clean from any spills and oops! Because of its small, lightweight footprint, it doesn't take up precious suitcase space or weight. It's a gift that they will love to use even after their mission to remember their "best two years." Our son (and first missionary) with his MissionaryApron. The black poly-spun aprons look, breathe, and feel like 100% cotton, are stain resistant, color-fast and have great washability. No ironing or shrinkage. Each apron has two pockets and an adjustable neck strap so our one size apron fits most missionaries (32" long x 27" wide). See where all of our missionary aprons have gone. trademarked ™ and copyrighted © and may not be copied or reproduced.